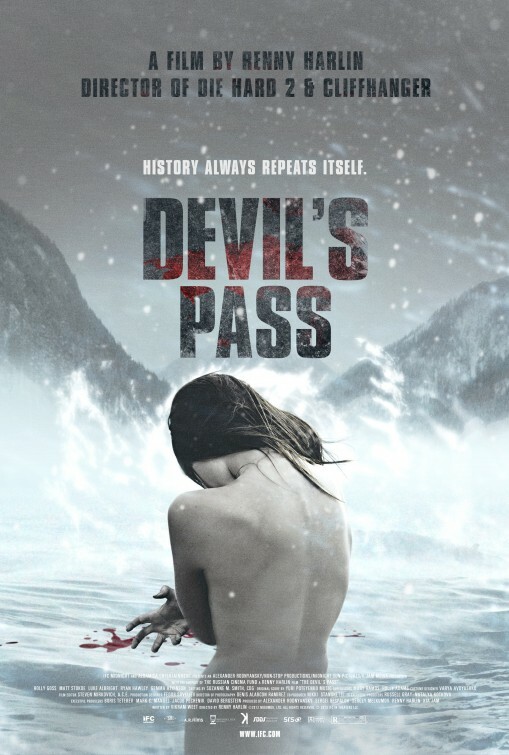 From the makers of the Stallone vehicle Cliffhanger comes what has been described in the press as the new Blair Witch Project, The Dyatlov Pass Incident (renamed Devil’s Pass or Mountain of the Dead in some territories). As is the norm nowadays, the tag line claims it is based on a true story. Unfortunately, the only tenuous links this film has to reality are some references to the original Dyatlov Pass incident of 1959 involving nine Russian hikers who were all found slaughtered amid very mysterious circumstances. Their tent had been ripped open from the inside, most of the bodies were found barefoot and partially-clothed in sub-zero temperatures, and several had suffered fractured skulls and broken ribs, even though there was no sign of a struggle. Strangest of all, one victim was allegedly missing her tongue and parts of her face. The inquest was a shambles, concluding only that the hikers had died as a result of a ‘compelling natural force.’ Debate has raged over what actually happened to the group ever since. Over the years various theories have been put forward, none of which answer all the questions, and it still stands as one of the great mysteries of the twentieth century. But don’t expect to find any answers here. The 2013 movie version sees a group of young American film makers head off into the mountains to recreate the doomed expedition and film a documentary. As you do. Soon, their equipment malfunctions and they find themselves lost and battling the worsening elements. Then they begin hearing noises and finding strange footprints in the snow, all of which leads up to the discovery of a long-abandoned military bunker in the middle of nowhere. I can’t help feeling that the producers of this film would have been better served making a drama about the initial alleged events, which were far more interesting, rather than using them as a basis to spin off an entirely different thread. It is still a decent enough film, and credit has to be given to any project that manages to squeeze in teleportation, mutant humanoids, yeti, grisly murders, espionage, and government conspiracies, all in the existing framework of one of the most enduring mysteries of our time. But this film could have been so much better. 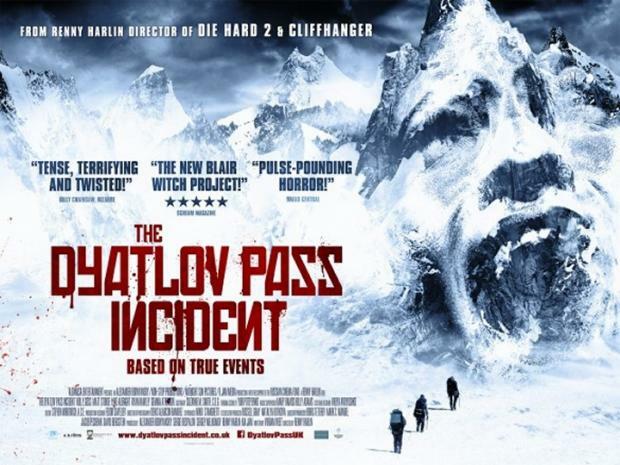 This entry was posted on Sunday, March 30th, 2014 at 7:34 pm	and tagged with devil's Pass, Dyatlov Pass Incident, film, horror, Mountain of the Dead, movie, mystery, Russia, thriller, true and posted in Films, horror, Reviews. You can follow any responses to this entry through the RSS 2.0 feed.